The incidence of fungal infections in renal transplant recipients is around 5% of all infections. It varies according to the geographical area. Systemic mycosis is a significant problem in transplant patients worldwide and remains a major cause of death. The causative agent and the risk factors vary depending on the period after kidney transplant. Aspergillus species, Mucorales species, Candida species, and Cryptococcus neoformans are the opportunistic fungi that cause most infections. The following case highlights how a high index of clinical suspicion and prompt diagnosis is required for a better outcome. A 47-year-old male presented with elevated serum creatinine and massive proteinuria. He was asymptomatic. Live related renal transplantation was performed on March 26, 2004; the native kidney disease was chronic glomerulonephritis. He was doing well with normal creatinine. He presented months following transplantation with serum creatinine of 3 mg/dL and 24 h urinary protein of 2.69 g/dL. His serum tacrolimus level was 7. Lipid profile was normal. Urine microscopy showed protein ++, with no pus cells, or fungal elements. Urine culture was sterile, and there was no growth on routine fungal culture after 24 h incubation. In view of chronic allograft nephropathy, allograft biopsy was performed. It showed round budding encapsulated yeast cells. A diagnosis of cryptococcal infection was confirmed. The serum creatinine gradually rose up to 6 mg/dL. To avoid cryptococcal dissemination, the patient underwent graft nephrectomy. The morphology and characteristic features of C. neoformans are shown in [Figure 1],[Figure 2],[Figure 3],[Figure 4], and the methodology of testing on different stains and tests is shown in [Table 1]. Table 1: Methodology for detection of Cryptococcus neoformans. 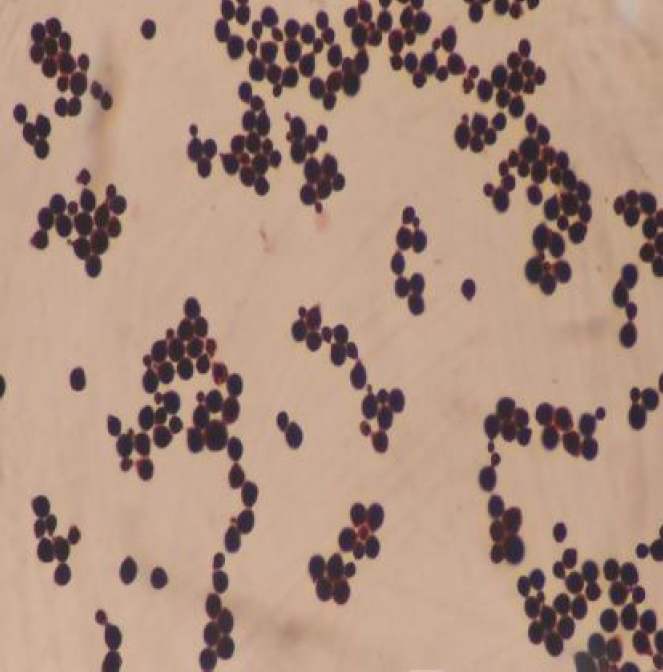 Figure 1: Gram-stain showing round budding yeast cells. 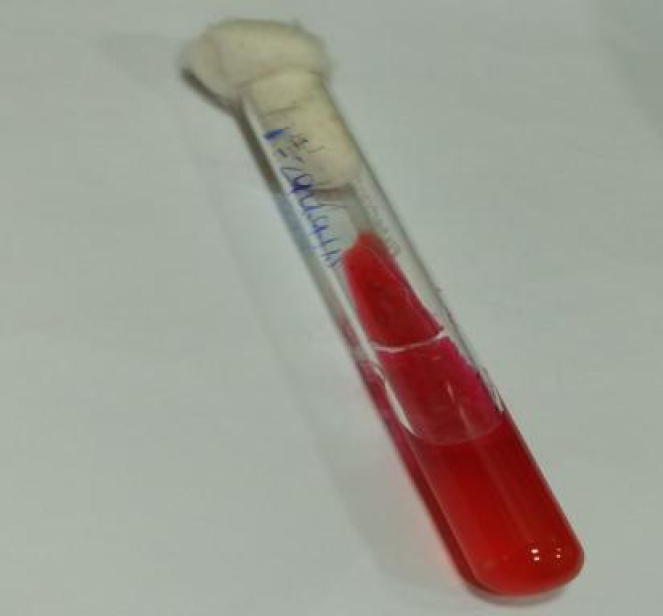 Figure 2: Cryptococcal latex agglutination test. 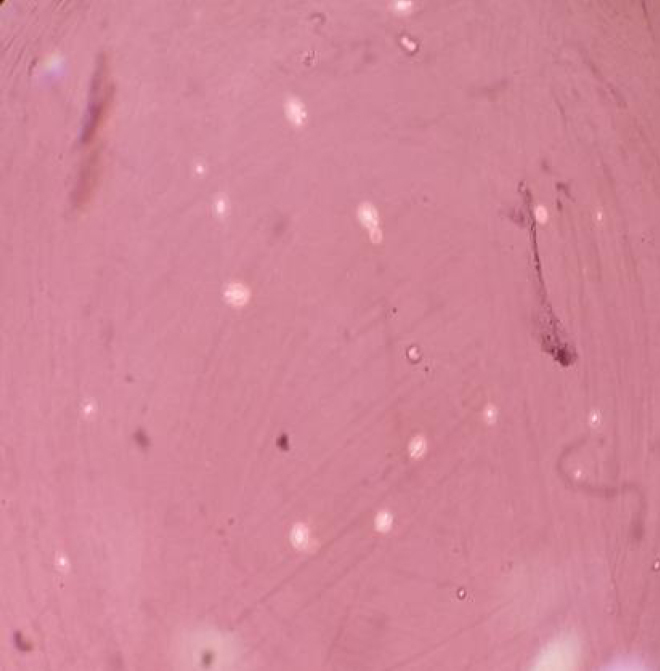 Figure 3: India ink mount showing encapsulated budding yeast cell. 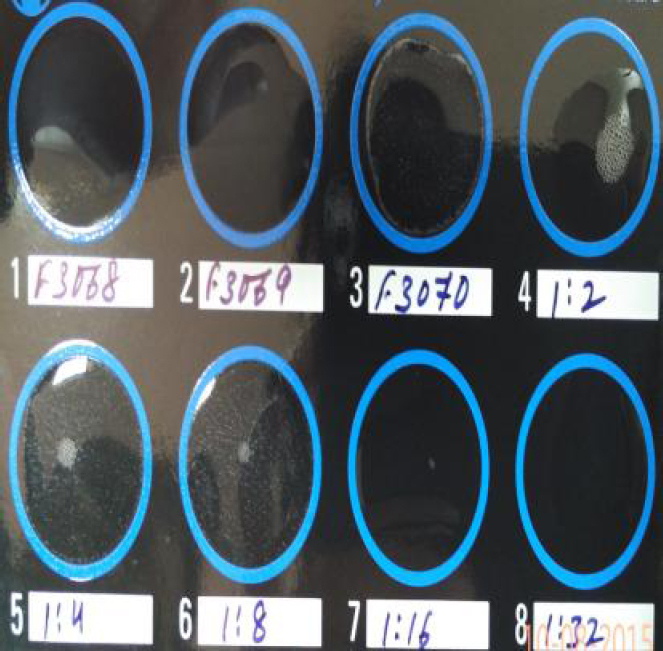 Figure 4: Urease test for the detection of Cryptococcus. The symptoms of systemic fungal infections are nonspecific, particularly in their early stages. Majority of the cases (53%–72%) of cryptococcal disease among solid organ transplant (SOT) recipients are disseminated or involve the central nervous system. One report mentioned that 61% of SOT recipients had disseminated cryptococcal disease, 54% had pulmonary disease, and 8.1% had skin, soft tissue, or osteoarticular cryptococcosis. The detection of cryptococcal elements in the renal allograft has been rarely described in the literature. In one French study of 11 SOT recipients, three had urinary tract infection. Our case highlights the need to save the life of the patient first and then to save the kidney, when inevitable. Approximately 33% of SOT recipients with cryptococcosis have disease limited to the lungs. These patients present with cryptococcal disease later in the posttransplant period and were receiving lower maintenance dosages of prednisone than symptomatic patients. Pulmonary cryptococcosis manifesting as acute respiratory failure is associated with grave prognosis. Cutaneous cryptococcosis can present with papular, nodular, or ulcerative lesions or as cellulitis., While cutaneous lesions largely represent hematogenous dissemination, skin has also been identified as a portal of entry of Cryptococcus and potential source of subsequent disseminated disease in SOT recipients. In conclusion, the present case highlights this unusual fungal infection in a renal transplant recipient. A high index of clinical suspicion and prompt diagnosis is very much essential for a better outcome. Patel R, Paya CV. Infections in solid-organ transplant recipients. Clin Microbiol Rev 1997; 10:86-124. Badiee P, Alborzi A. Invasive fungal infections in renal transplant recipients. Exp Clin Transplant 2011;9:355-62. Singh N, Dromer F, Perfect JR, Lortholary O. Cryptococcosis in solid organ transplant recipients: Current state of the science. Clin Infect Dis 2008;47:1321-7. Singh N, Alexander BD, Lortholary O, et al. Cryptococcus neoformans in organ transplant recipients: Impact of calcineurin-inhibitor agents on mortality. J Infect Dis 2007;195:756-64. Dromer F, Mathoulin-Pélissier S, Launay O, Lortholary O; French Cryptococcosis Study Group. Determinants of disease presentation and outcome during cryptococcosis: The CryptoA/D study. PLoS Med 2007;4:e21. Casadevall A. What is the latest approach to pulmonary cryptococcosis. J Respir Dis 2004; 25:188-1. Gloster HM Jr., Swerlick RA, Solomon AR. Cryptococcal cellulitis in a diabetic, kidney transplant patient. J Am Acad Dermatol 1994; 30:1025-6. Horrevorts AM, Huysmans FT, Koopman RJ, Meis JF. Cellulitis as first clinical presentation of disseminated cryptococcosis in renal transplant recipients. Scand J Infect Dis 1994;26: 623-6. Neuville S, Dromer F, Morin O, Dupont B, Ronin O, Lortholary O; French Cryptococcosis Study Group. Primary cutaneous cryptococcosis: A distinct clinical entity. Clin Infect Dis 2003; 36:337-47.